There has been a exponential increase in REST services implementation between IOS/Android devices and Java Middleware, This has become the solution architecture for most applications which provide support on IOS/Android devices and also provide interface on web using java web application. To make the communication secure it is necessary that this REST messages are made secure. This can be achieved using symmetric encryption mechanism. Previous posts of encryption/decryption with symmetric and asymmetric key, works well when both applications are JAVA based. This above encrypted data can be send from a JAVA web application or a Android device to a IOS or Android device using REST service. IOS/Andriod devices can then decrypt the data. Below is the code to decrypt the same in Android device. Above code uses custom symmetric key which is 16 byte that is 128 bit. To run this program you will need common-codec jar. And if that String is misplaced or lost any application will be able to decrypt the data being transmitted. So the symmetric key used here is not secured. Another more secured option would be to combine symmetric and asymmetric key encryption. First the sender and receiver will generate asymmetric key (Public and Private) pair. 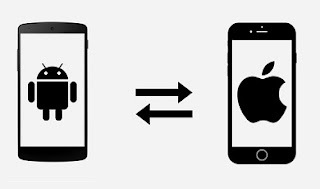 The sender which could be a IOS or Android device should have the Public Key. The sender will generate a random number and encrypt it using the public key and send it to the receiver. The receiver will than decrypt the key using the private key. So now both parties will have decrypted symmetric key string. Then the sender can use the above code to encrypt the data using symmetric key and send it to receiver. The receiver will than decrypt data with symmetric key. 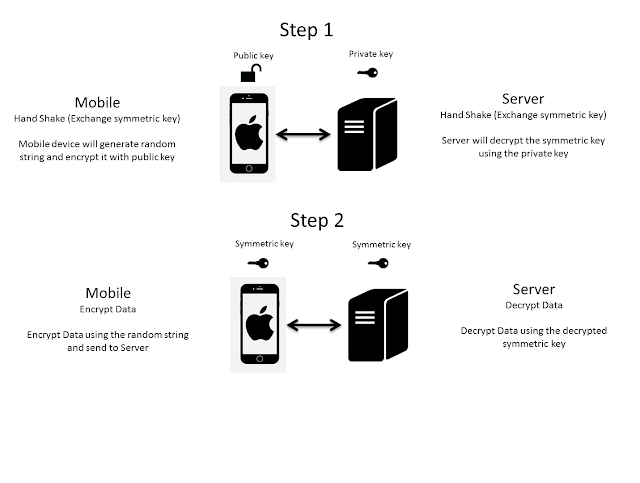 The receiver now can also send encrypted data back to the sender using the same symmetric key. Below is the IOS code to encrypt a random String using Public Key. It uses FbEncrypt Library.